The far North Atlantic Ocean has cast a spell over travelers. First, they were captivated by the volcanoes, the geysers, and the hot springs in Iceland. Then they were enchanted by the steep cliffs and the colonies of seabirds in the Faroe Islands. Now another set of islands is beckoning. Upon first glance, the Shetland Islands don’t look as remote as the Nordic islands. They’re part of Great Britain, after all. But the Scottish archipelago lies 104 miles northeast of the mainland. The Faroe Islands (170 miles to the northwest) aren’t much farther. Bergen, Norway (228 miles to the east) is in the opposite direction. So, yes, the islands are in the middle of nowhere. 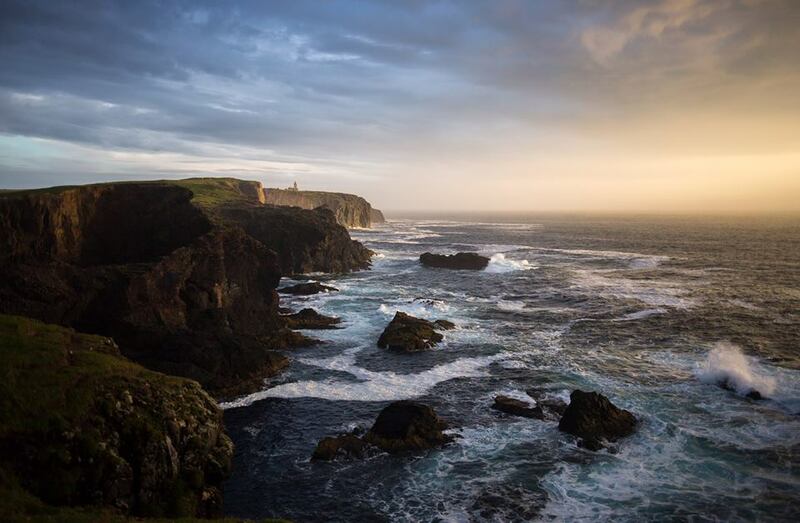 Due to the location of the nearly 300 islands and skerries (rocky outcrops) in the North Sea, the Shetland Islands’ history is a little muddled, as well. Their early history was influenced by Scandinavia, especially Norway. They didn’t become part of Scotland until the 15th century. Northern Europe’s importance to them didn’t decrease until Scotland became part of Great Britain in 1707. It made the people who live here rugged and self-reliant. Only 16 of the Shetland Islands are inhabited. The biggest, Mainland, is where most of their 23,000 inhabitants live. Mainland is Scotland’s third-largest island. It’s where ferries and flights connect from the actual mainland. Plus it’s home to Brae, which is known for having the best food and hotels on the islands. In January, it’s also a location of Up Helly Aa, a traditional fire festival that marks the end of the Yule season. Brae was a traditional fishing village for much of its history. It grew dramatically in the 1970s after oil was discovered in the North Sea, and the Sullom Voe Terminal, a gas and oil depot, was built nearby. It’s now the second-largest town in Shetland. Brae hasn’t lost its charm, though. Ronas Hill, the highest point on the islands, is just north of town. It’s home to Neolithic ruins and overlooks the Eshaness volcanic cliffs. Tangwick Haa, a museum displaying life on the islands, is nearby. So is Mavis Grind, a narrow isthmus that connects the Northmavine peninsula to Mainland. You’ll stop to throw a rock from the North Sea to the Atlantic Ocean. You’ll stay if sea otters happen to be frolicking near the shore. Then you’ll head to Frankie’s Fish & Chips. Frankie’s Fish & Chips is known as the United Kingdom’s northernmost chippy. Many consider it one of the best, as well. 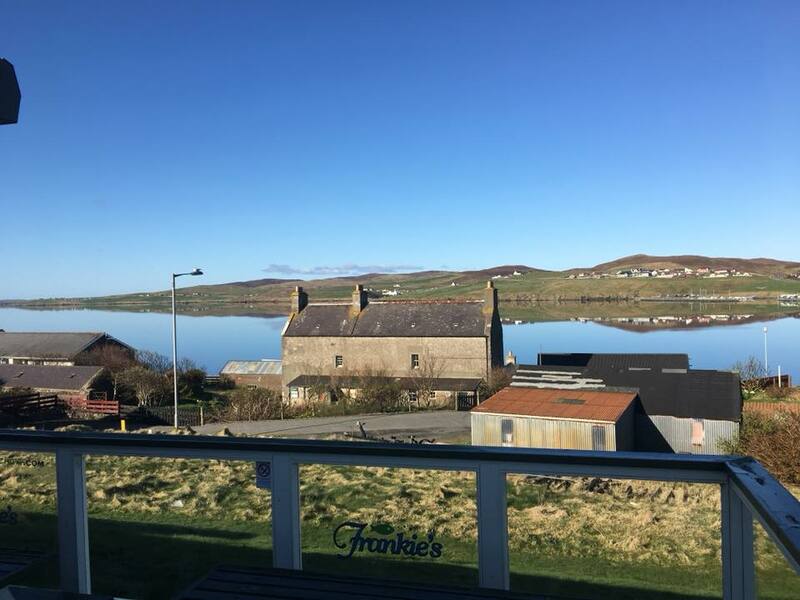 The casual restaurant overlooks the smaller town of Busta Voe. The best seats in the house are outside on the deck’s picnic tables. Most people order the lightly battered haddock; your server can point out the boat that the fish came off. Everything else on the menu is just as fresh and local, though. Blueshell mussels are steamed four ways. They’re served with crusty bread. The soup (today is sweetcorn chowder), the fish cakes (made with haddock and smoked haddock), and the mushy peas are all homemade. While specials might include seafood salad or pan-fried scallops. Seafood is definitely the lure to Shetland.